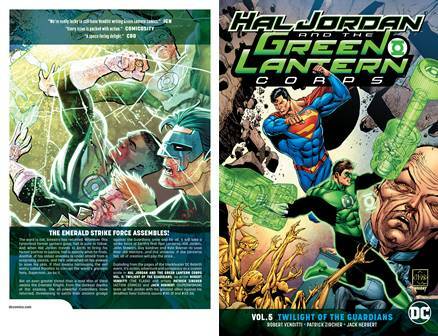 It's action, adventure and conspiracy on a cosmic scale in Hal Jordan and the Green Lantern Corps Vol. 5: Twilight of the Guardians, as writer Robert Venditti (The Flash) and artists Patrick Zircher (Superman - Action Comics) and Jack Herbert (Superwoman) team up Hal Jordan with his greatest allies against his deadliest foes! But an even greater threat than a mad Man of Steel awaits the Emerald Knight. From the darkest depths of the cosmos, the all-powerful Controllers have returned, threatening to settle their ancient grudge against the Guardians once and for all. It will take a strike force of Earth's first four Lanterns - Hal Jordan, John Stewart, Guy Gardner and Kyle Rayner - to save their old mentors and the universe. If the Lanterns fail, all of creation will pay the price. Collects Hal Jordan and the Green Lantern Corps (2016-) #30-31 and #33-36. New leader of the Sinestro Corps, Soranik Natu, daughter of Sinestro, has seen to it that her brethren set aside their murderous ways for a new mission: to police the universe alongside the Green Lanterns! Against all odds, this unlikely partnership seems to be working. Even Lanterns who recently wanted to murder each other with their bare hands - like Guy Gardner and Arkillo - are now working side by side. But the fragile alliance is sitting atop a powder keg...and all it will take is one spark to ignite it. When it comes to light that a Green Lantern has murdered a member of the Sinestro Corps in cold blood, will the fragile alliance hold? Or will the Sinestro Corps return to the ways of their former leader...and destroy the Green Lanterns in their wake? The DC Rebirth story of the Green Lantern Corps continues with Green Lantern artist Ethan Van Sciver returning to the Corps, along with creators Robert Venditti and Rafa Sandoval, for an explosive story that will leave heroes changed forever in HAL JORDAN AND THE GREEN LANTERN CORPS VOL. 4: FRACTURE. Colletcts HAL JORDAN AND THE GREEN LANTERN CORPS (2016-) #22-29. It's a new era for the Green Lantern Corps. Based on the living planet Mogo under the leadership of John Stewart, the Corps are about to take on their toughest assignment ever - partnering with their bitter enemies in the Sinestro Corps, combining the powers of Will and Fear as a new force for good. Hal Jordan has a different mission, however. Together with former Green Lantern and current White Lantern Kyle Rayner, Jordan has been tasked by the Guardians of the Universe to find and rescue Saint Walker - the final Blue Lantern and keeper of the Light of Hope. But will Hal, Kyle and Walker be able to bring Hope back to the universe...or will their mission only empower a threat that waits in the shadows? Find out in HAL JORDAN AND THE GREEN LANTERN CORPS VOL. 3: QUEST FOR HOPE. 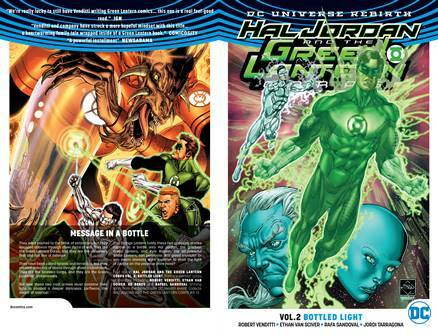 Collects HAL JORDAN AND THE GREEN LANTERN CORPS (2016-)#14-21. 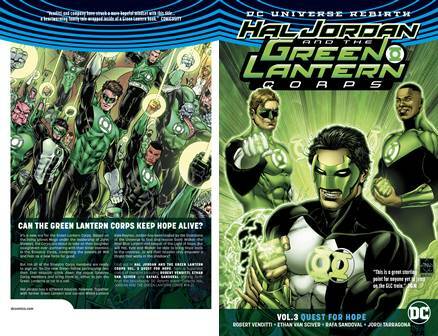 Hal Jordan is about to go from the head of the Green Lantern Corps to an army of one. Jordan's long, illustrious--and tumultuous--tenure with the Corps takes several hairpin turns. At lightspeed. Toward a black hole. In a blender! 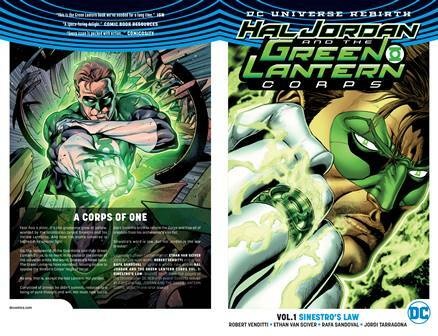 Green Lantern veteran Robert Venditti teams up with Rafa Sandoval and Ethan Van Sciver to pilot HAL JORDAN & THE GREEN LANTERN CORPS VOL. 2! Collects HAL JORDAN & THE GREEN LANTERN CORPS (2016-) #8-13. Fear has a color. It's the gruesome glow of yellow, wielded by the totalitarian tyrant Sinestro and his Yellow Lanterns. And now the entire universe is bathed in its sinister light. 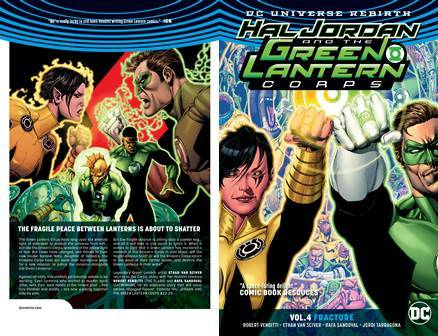 The Sinestro Corps have replaced the Green Lanterns as the peacekeepers of the galaxy. Oa, the homeworld of the Guardians and their Green Lantern Corps, is no more. In its place at the center of the universe orbits Warworld, Sinestro's home base. The Green Lanterns have vanished, leaving no one to oppose the Sinestro Corps' reign of terror. Convicted of crimes he didn't commit, reduced to a being of pure thought and will, Hal must now battle back from the brink to reform the Corps and free all of creation from his archenemy's iron fist. Sinestro's word is law... but Hal Jordan is the lawbreaker! Collects issues (2016-) #1-7 and the HAL JORDAN AND THE GREEN LANTERN CORPS: REBIRTH one-shot special. 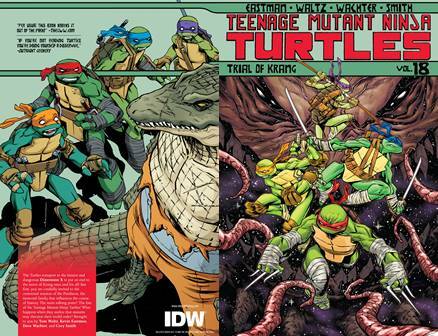 The Turtles transport to the bizarre and dangerous Dimension X to put an end to the terror of Krang once and for all! 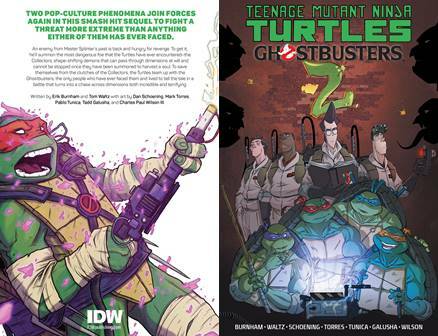 TMNT has always been science fiction, but this time they're taking it to a whole new level! 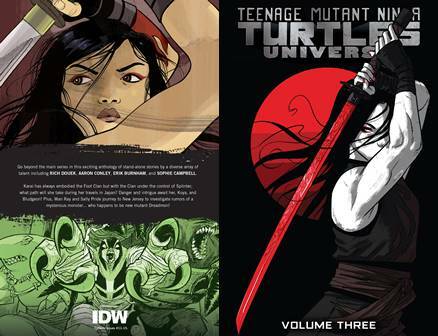 Leonardo, Michelangelo, Donatello, and Raphael face off against deadly new foes in a crazy space opera mash-up of classic martial arts and funky sci-fi action! But first, you are cordially invited to the centennial reunion of the Pantheon, the immortal family that influences the course of history. The main talking point: the fate of the Teenage Mutant Ninja Turtles! Collects issues #71 - 75 and the 2017 Free Comic Book Day issue. Go beyond the main series in this exciting anthology of stand-alone stories. Karai has always embodied the Foot Clan. With the Clan under the control of Splinter, what path will she take during her travels in Japan? Danger and intrigue await her, Koya, and Bludgeon! 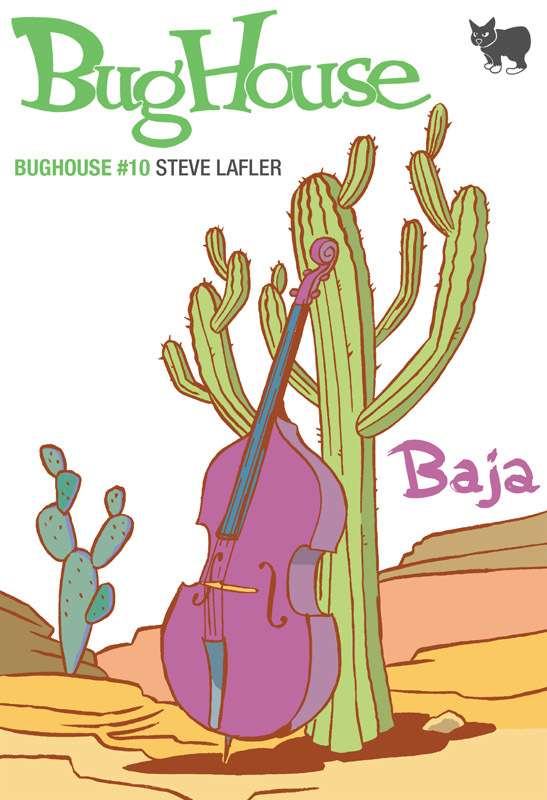 Plus, Man Ray and Sally Pride journey to New Jersey to investigate rumors of a mysterious monster. Collects issues #11 - 15. An enemy from Master Splinter's past is back and hungry for revenge. To get it, he'll summon the most dangerous foe that the Turtles have ever encountered - the Collectors, shape-shifting demons that can pass through dimensions at will and cannot be stopped once they have been summoned to harvest a soul. To save themselves, the Turtles team up with the Ghostbusters, the only people who have ever faced them and lived to tell the tale, in a battle that turns into a chase across dimensions both incredible and terrifying. Meet Emma London: recovery artist and bounty hunter for hire. She is strong, possibly indomitable, and did we mention...part machine. Emma is the type that dives head first into things that most wouldn't and shouldn't. Those dark places that no one else will go to track down the subhuman criminals lurking in the underbelly of society and bring them to justice. STAINED first comes to life with Emma trying to take down a pair of international diamond smugglers, but her story explodes forward when initially what was thought to be a hunt for a priceless painting with a record high bounty, leads her to something darker and more monstrous than she could have ever imagined. 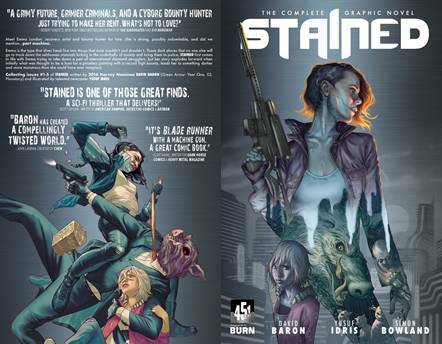 Collecting issues #1-5 of Stained written by 2016 Harvey Nominee David Baron (Green Arrow: Year One, 52, Planetary) and illustrated by talented newcomer Yusuf Idris. Sister BFFs follows a pair of sisters who are not quite adults, but trying desperately to act like them. From job searches to embarrassing encounters with former crushes, these twenty-something sisters navigate the ups, downs, and in-betweens of early adulthood - together. 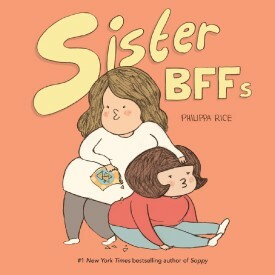 Loosely based on the author's own life, Sister BFFs celebrates the complicated love-hate relationship between sisters to hilarious effect. They tease and trick each other but always stay loyal. 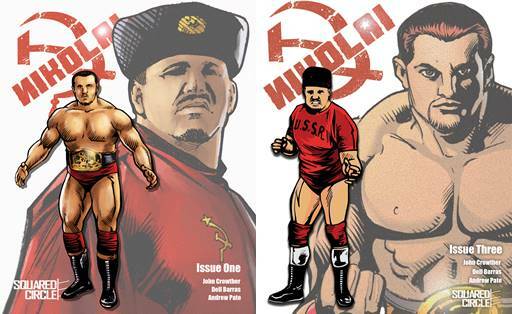 NIKOLAI is the authorized comic biography of Croatian wrestling legend, Nikolai Volkoff, 2005 WWE Hall of Famer, former WWF Tag Team Champion, and former partner of the Iron Sheik! Along with Bruno Sammartino, Nikolai was the first professional wrestler to sell out Madison Square Garden. Written by wrestling historian John Crowther (Antarctic Press' Rochelle), this story of Nikolai's life is based on in-depth interviews and intimate conversations between the writer and the wrestler. Deep in the jungle, a young alien woman must use her wits, strength, and one small, precious clue--a gem that projects a hologram of her father--to discover her true origin! Joined by her adoptive grandfather and brother, she sets out on an adventure that catapults her out of the jungle and into the unknown. 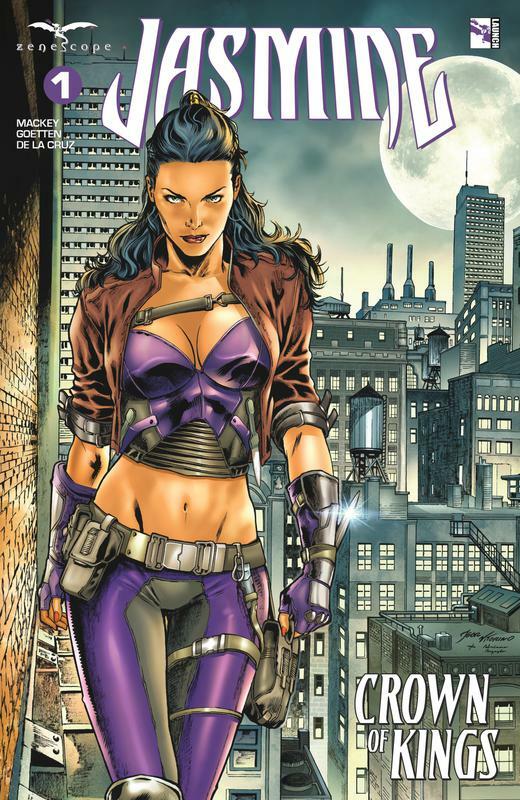 Originally serialized in Dark Horse Presents, this edition collects the first twelve chapters of Rich Woodall and Craig Rousseau's popular sci-fi adventure, Kyrra: Alien Jungle Girl! 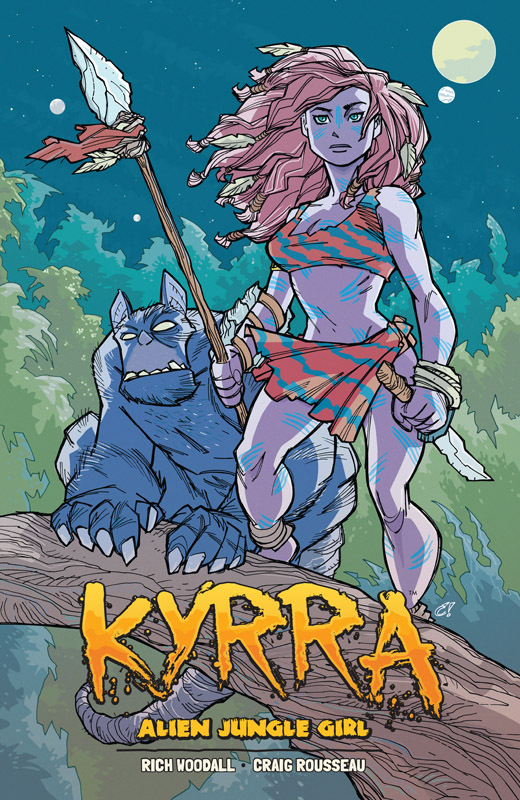 Collected edition showcases the first 12 chapters of the popular Dark Horse Presents story, Kyrra: Alien Jungle Girl! 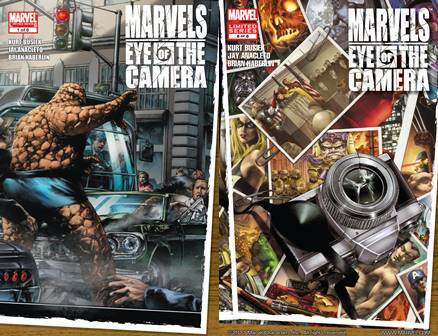 Includes additional story pages not published in Dark Horse Presents! Two bonus stories exclusive to this edition! Also includes a beautiful pin-up section! 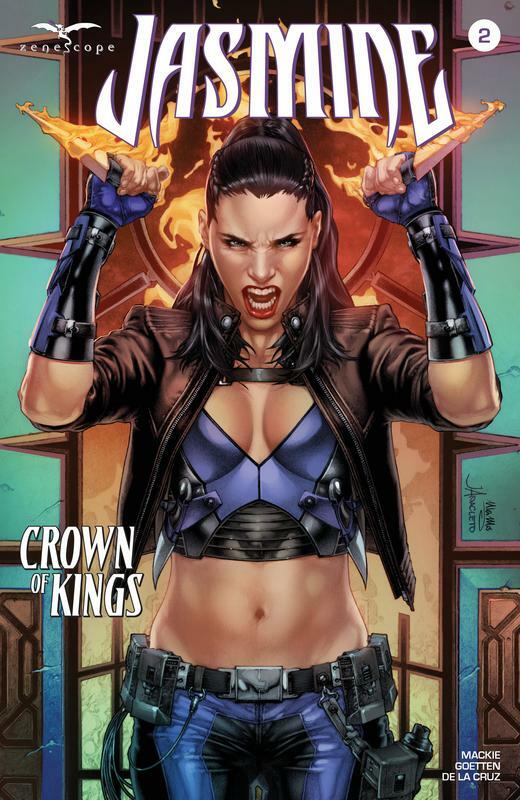 Trade paperback collecting King's Road and the King's Road stories from Dark Horse Presents #23-25. 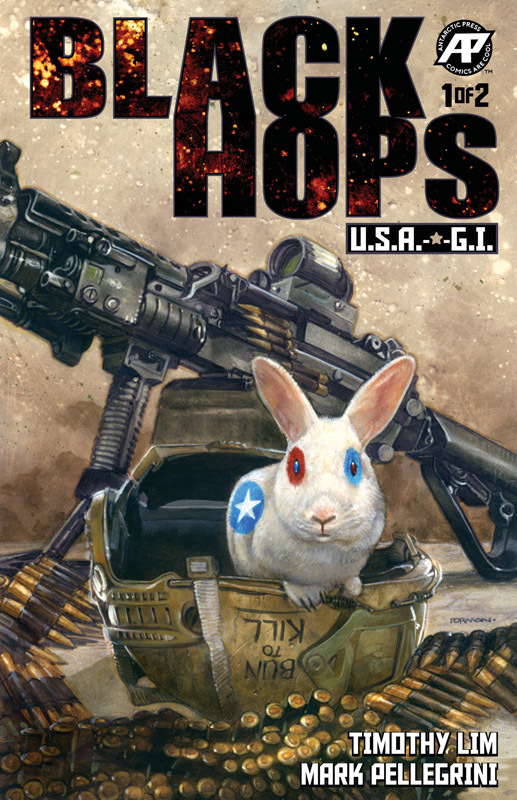 A civil war in another dimension impacts a seemingly normal American family! When mystical creatures raid the suburbs to assassinate Don's family, he reveals that he needs to return to the original fantasy realm in which he was born to quell a violent uprising and regain the family throne! 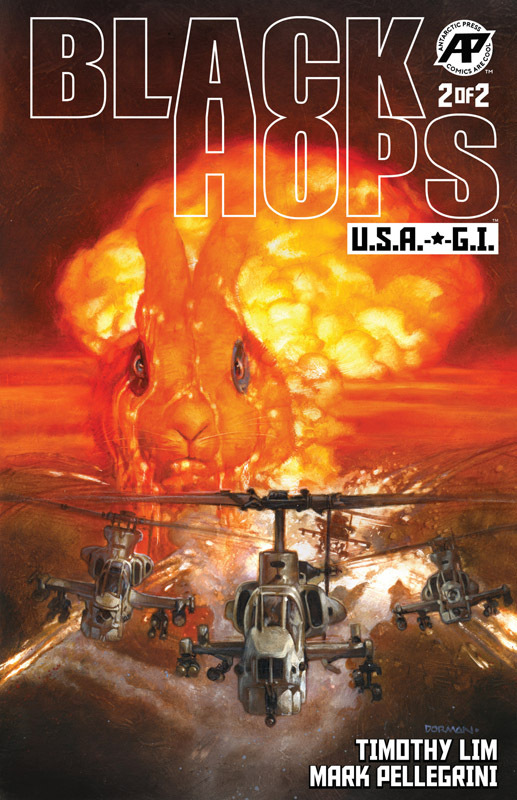 This collection includes all Dark Horse Presents chapters and the three-issue miniseries! 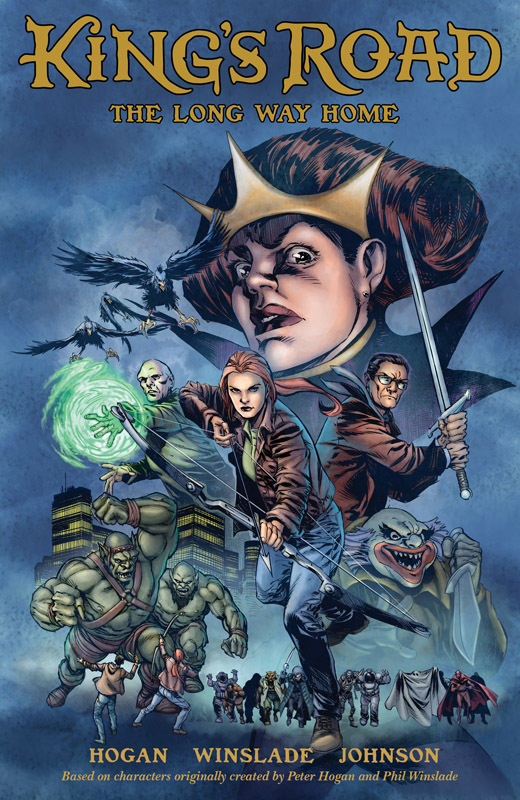 Fantasy and action from writer Peter Hogan (Resident Alien)! The Adventure Time/Alice in Wonderland-style epic that smashes its cute little face against Tank Girl/Deadpool-esque violent madness has arrived. 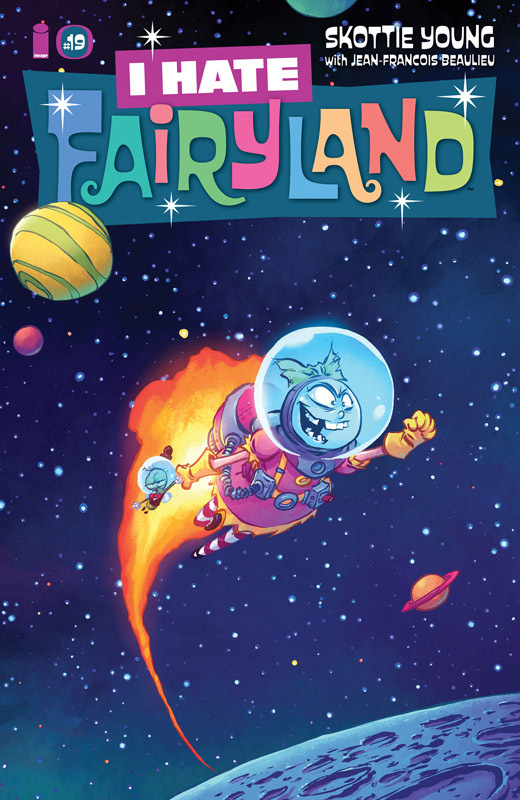 In an adventure that ain't for the little kiddies, (unless you have super cool parents, then whatever), you'll meet Gert - a six year old girl who has been stuck in the magical world of Fairyland for thirty years and will hack and slash her way through anything to find her way back home. 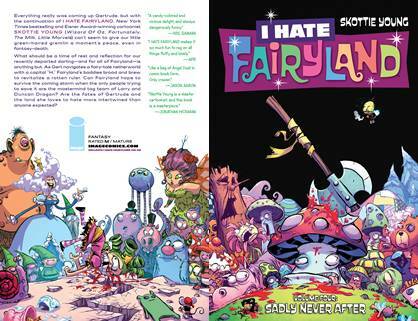 Join Gert and her giant battle-axe on a delightfully blood soaked journey to see who will survive the girl who HATES FAIRYLAND. The great American novel, now a graphic novel! A masterful adaptation of the timeless literary classic, faithfully and beautifully rendered by an award-winning artist. 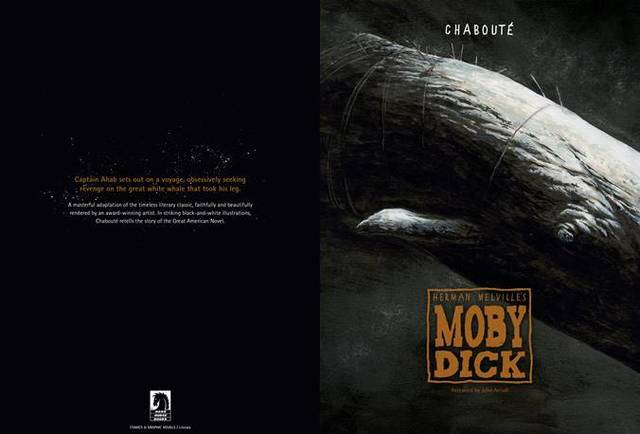 In striking black-and-white illustrations, Chaboute retells the story of the great American novel in which Captain Ahab strikes out on a voyage, obsessively seeking revenge on the great white whale that took his leg. Foreword by John Arcudi. 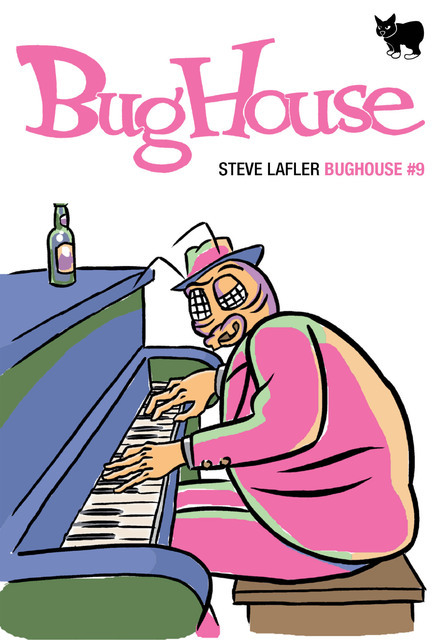 A literary classic, adapted by award-winning artist Christophe Chaboute.